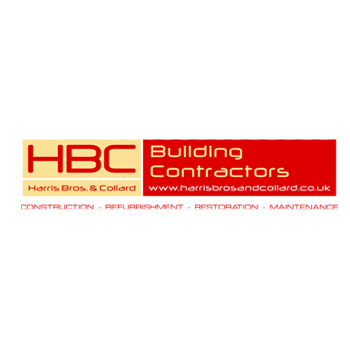 Harris Bros and Collard Ltd carried out works to the above school during the 2014 summer holiday period and completed during October 2014 half term. The scope of works to Block A (Main Block) involved replacing the entire window system due to the aged existing uPVC window system with failed glazing. Scaffold was erected for safe access to works to the south elevation of the 4-storey building. All windows to floors 2, 3 and 4 were replaced. Works to the Block F Sports Hall involved safe removal of existing asbestos cement roofing sheets, clearing of all roof debris, and replacing with new cement fibre insulated roofing and new rainwater goods. To Block C, D and E the extent of works included removing and replacing of existing felt roof covering in poor condition with new bituminous roofing felt on PIR foam insulation on metal roof deck including all associated kerbs and upstands required to meet current Building Regulations. Block E also required removing and replacing new brick copings to parapet on new DPC and replacement lead flashings to perimeter of roof due to poor existing conditioning of evident water ingress.